In my professional career I have encountered many people who were experts in their field, but the visual acuity and speed of Juan-Carlos Palomino and Robinson Rodriguez made an indelible impression on me. 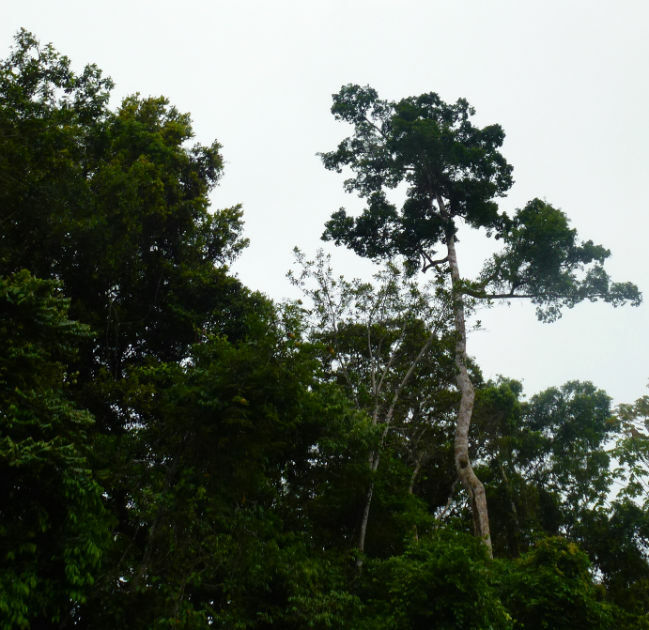 How they could spot a tiny black dot high in a tree as we were speeding down river in our motorized skiff, and instantly identify the type of bird, simply blew my mind. Our skiff driver, Darwin, would stop the boat and they would point it out. Even through my very powerful binoculars I could often barely make out the shape of a black dot. 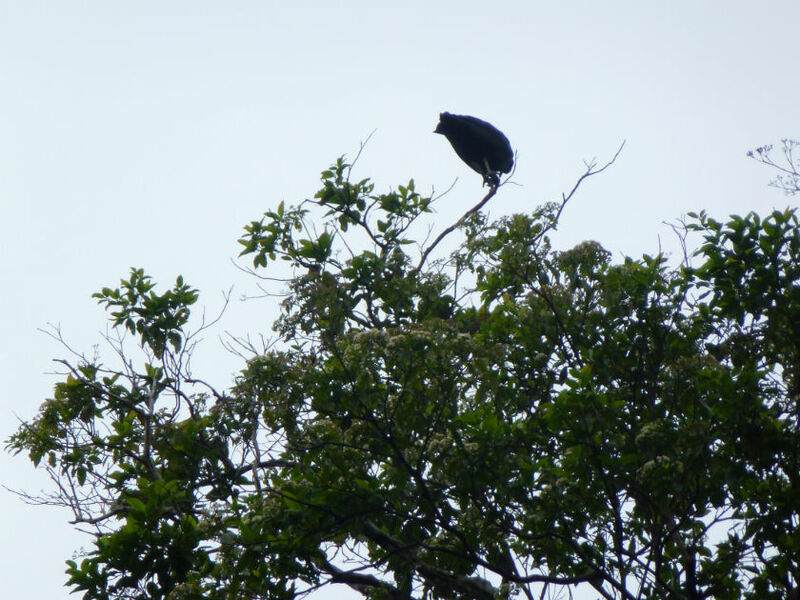 When I saw the bird it just looked like a big bird-like blob to me. They had an illustrated Bird Guide with them (A Princeton Field Guide - Birds of Peru by Schulenberg T.S. et al) and would point to the exact type of bird. 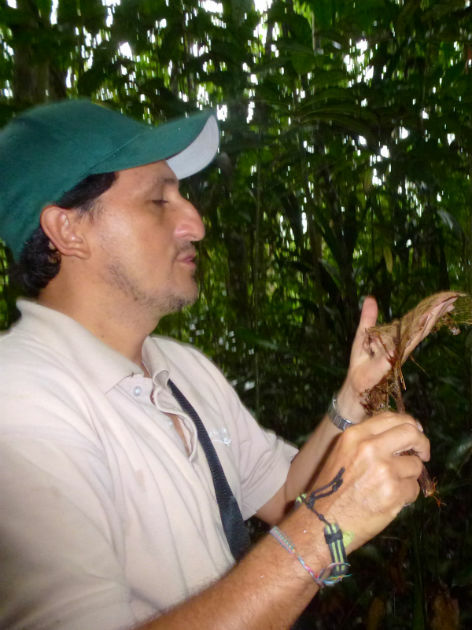 As for example the Hoatzin shown in the featured picture. I still could not see it. But when I zeroed in on the image captured for me (usually by Robinson) on my camera, and I zoomed right in on the image - there it was. No longer a black blob. 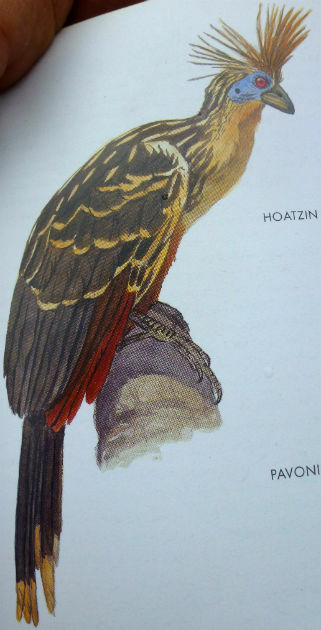 As for example the Hoatzin shown in the featured picture, and the picture in the Princeton Field Guide. 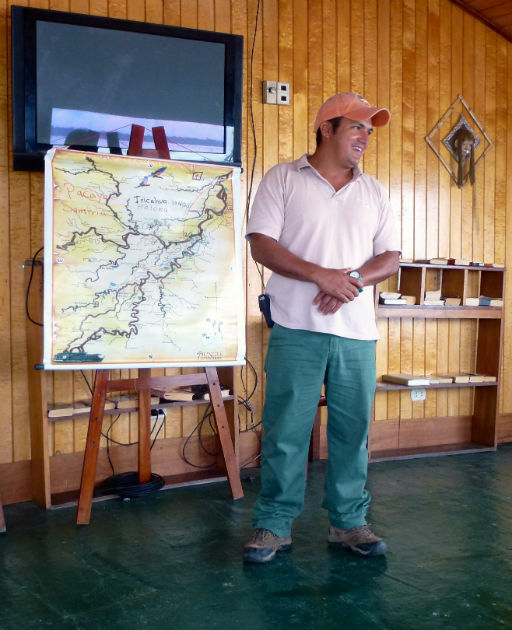 The lectures and the primary educational material was the domain of our two naturalist guides. But the other group of employees was the multi -talented crew of La Turmalina. 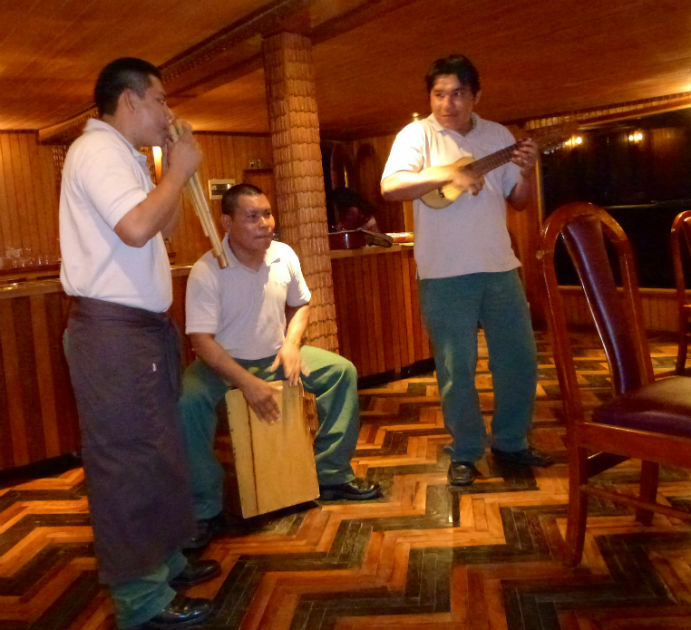 Working under the captain, they crewed the ship and the skiffs, cooked and served the meals, provided housekeeping services… and provided our nightly musical entertainment, singing and playing multiple instruments and introducing us the music of Peru. More about the music later - see M.